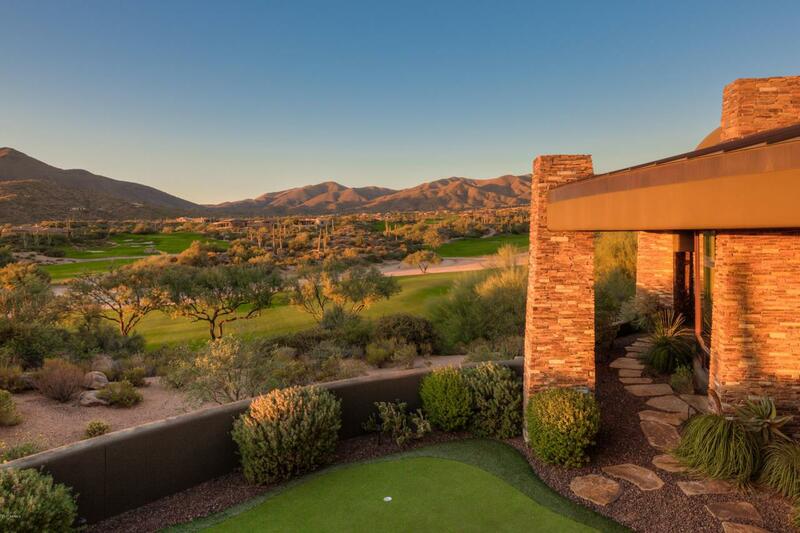 Architecture Par Excellence by Lee Hutchison joined with sought after builder, Manship Homes, creates this magnificent home sitting on almost 2 acres (2 lots) above the 12th hole of the Geronimo Golf Course offering supreme golf course, sunset and mountain views. 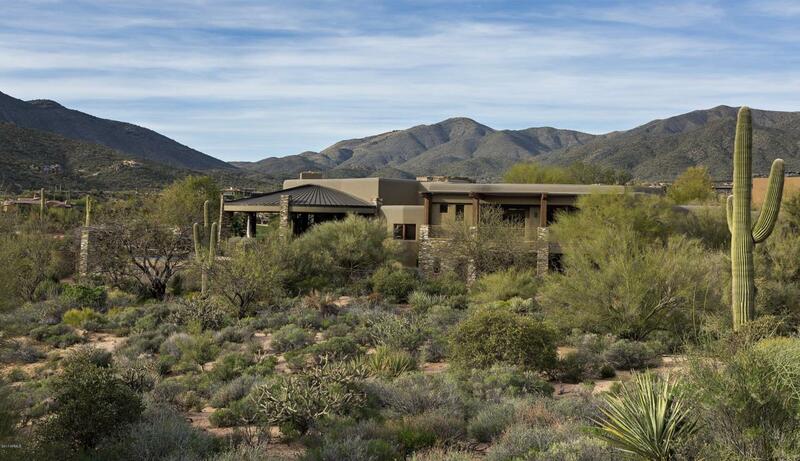 The dynamic courtyard entrance with fireplace sets the mood for this timeless Arizona desert contemporary. The unique ceiling details, circular, angled walls and the organic use of metal, wood, glass and stone bring warmth and comfort into the home. The flowing split floor plan encourages substantial festivities as well as small gatherings with space for all. Enjoy the private outdoor living attributes: the negative edge pool with water-fall features and spa, the stone fireplace, a putting green, Al Fresco dining, grilling,sunning and living space, all with magical golf course, sunset, and mountain views. Lot 63 is included in the list price. A Desert Mountain Club Membership is not included, but is available separately through The Desert Mountain Club.